A bee collecting pollen from mint I have growing near my front porch. After seeing the mint flower, I decided not to prune it so the bees had something to collect from. A few drops of glycerin on some glass. Underneath the glass is a plate of peanut M&Ms. This was taken as part of a macro workshop I attended. 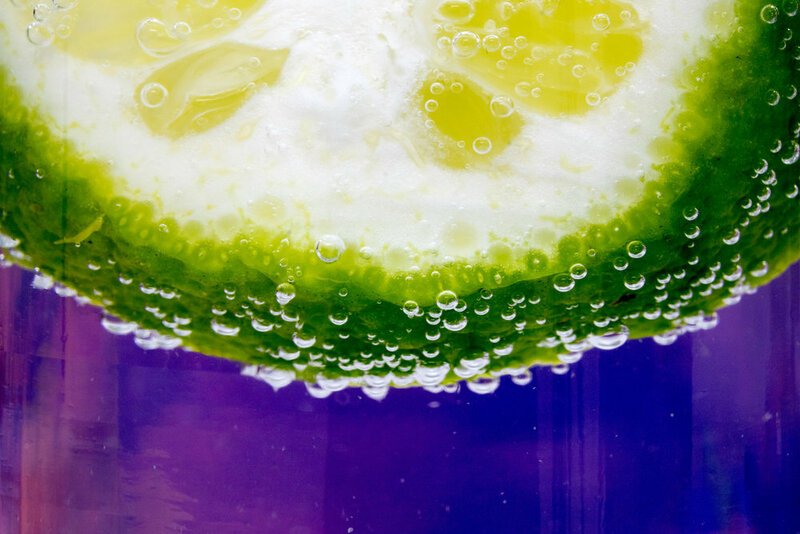 Macro shot of a lime in a glass of seltzer water.